The way we handle our children physically is crucial to their developing self-esteem. We convey our children’s inestimable value through the ways we touch. As important as words are over time, the way we are with them from the beginning matters more than what we say. In addition to the value of a loving touch, we parent best when we stay emotionally available and warm with our children. When we are able to sustain this availability as a constant through our “parental tone”–through feeding, bathing, dressing (when they are babies), meals, limit settings, awakenings and bedtime for older children–it helps us stay responsive to our children’s cues. That’s why it’s best to pick up those crying babies in the first six months of life and see what the problem might be, no matter how many times you have done it before. Or to put your arm around the pouting toddler and say, “I’m right here–what do you need?” If you are lucky enough to figure it out, the baby or toddler will respond instantly, and if you’re not, at least you’ve shared a good, if noisy, cuddle in the meantime. There is no harm in showing him you are there for him and you care enough to try. The need to feel secure is a serious matter when children are out of their parents’ care. Their emotional cues are the key to understanding what can help them in being comfortable and appropriately dependent. 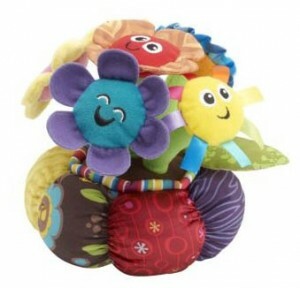 From thumb-sucking and pacifiers to “loveys and softies,” children must be allowed to discover and use the props that help them to comfort themselves and manage stress, especially when parents are absent. That children can use these props and tactics is a testament to their parents’ success in helping them to cope with life’s discomforts and uncertainties. These objects are transitional. As children grow in their capacities to adapt to and manage change and troublesome emotions, they will give them up on their own. I advise parents not to take them away, especially during these transitions. On the contrary. Keep them in good repair! I have seen blankets and toys that were rags and shadows of their former selves, glues, patched, and re-stitched, still providing soothing magic. Thumb-sucking into the second year can cause some tooth disruption if it is especially intense and prolonged. Pacifiers are kinder to the mouth and teeth because they distribute sucking pressure more evenly throughout the mouth. By the first birthday, the need for non-nutritive sucking usually starts to diminish, so that by 18 months, walking and talking are picking up the self-stimulation slack. Comforting should be spread out over rocking, cuddling, softies, etc., lessening the appetite for sucking. This special homemade photo gift is sure to warm hearts this winter! Create one for a special someone or make many to give as gifts to family & friends. Use a pencil to trace your child’s hand on a sheet of paper or craft foam. Trace each finger individually or around their four fingers together and thumb separately to make a mitten shape. Carefully cut out the hand or mitten shape, and then trim your photo to fit in the “palm” of the cutout. Glue the photo in place. Here’s the fun part! Encourage your little one to get creative with washable markers and “winter” craft accessories to add their own decorative touch! When your child is happy with their masterpiece, either punch a hole in the top and tie a ribbon through it for hanging or attach small adhesive magnets to the back for hanging on the refrigerator. It’s a universally recognizable scenario which qualifies as the Armageddon of parenthood. A red face; ear piercing, soul scratching, vocal cord hemorrhaging screams and body thrashing – all characteristics of the temper tantrum. 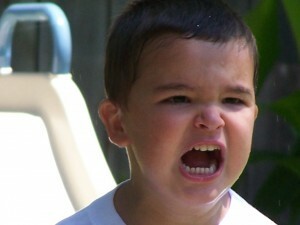 As a father of four, and grandfather, I’ve seen hundreds of temper tantrums. Each and every one has left me feeling more or less spent, not to mention saddened as a parent. Where do they come from and what can be done about them? During the holiday season, when they tend to peak, it seems timely to review what might be helpful. The most common age for this behavior is between 3 ½ and 4 ½ years – the twelve to eighteen months before they start kindergarten. Tantrums seem to cluster around those moments when your children – and often you – are hungry, tired, scurrying about, running late and/or stressed out. It’s important to remember that they don’t usually ‘come out of nowhere’ – they tend to be a last straw for your child. Developmentally, they occur when children are struggling to manage their bodies (often having just finished toilet training) and their emotions (aggression, frustration). My colleagues at Yale’s Parenting Center have been looking at temper tantrum management for years and are on the right track from my view point. They have highlighted the single most critical component of the parent/child temper tantrum interaction – the parental tendency to equal the child’s emotional intensity. This is not helpful. Your child is almost completely unaware of the storm he/she’s making, so when you leap in emotionally and physically charged ‘to get your child’s attention and stop this,’ your child ‘reacts’ to your intensity and escalation is the name of the game. Forget punishment and yelling. It could terrify or confuse your child, often has no relevance to their distress given their immature sense of cause and effect, and only briefly satisfies your need to be in control. Stay calm. Count to ten, turn away briefly, bite your lip, and above all – breathe – this way you won’t fuel the fire and it allows you and your child to recover more quickly. Ignore the negative behavior. This de-escalates the tantrum faster than any other single thing a parent can do. Turn your attention to praising the next ‘good thing’ your child does. Be very specific about what you appreciate and why, be sincere in your tone and behavior, and look them in the eye. 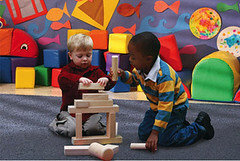 As toddlers and preschoolers, children are beginning to notice there are differences between themselves and others. While their observations are very broad at this point—a child may notice another child’s hair is different from his, but not quite know why—they are beginning to form their own ideas about what all these differences mean, and their natural inquisitiveness can lead to many questions. To help your child understand, learn to respect and celebrate differences in others, guide him as he explores and learns from the diverse world around him. Be open to his questions and provide clear, age-appropriate answers. Listen attentively and explain why certain words or thoughts are hurtful. Embrace differences in others, don’t try to avoid them. Use books, music, games and food to explore different cultures together. Set a good example through your positive relationships with others. Your little one will learn to accept and respect their peers, too. Keep it short and simple. About six to eight words is the upper limit here, and don’t repeat it endlessly, as it means less every time you say it. Move in sooner rather than later as the excitement of the act itself starts to take over and the child can no longer hear what she might have heard a minute or two before. Don’t give more than two warnings before you move in to resolve the situation. Always remember to count to 10. It actually works. It’s the modern parent’s dilemma: the time crunch. Sometimes it feels like there just are not enough hours in the day to accomplish all of life’s tasks—and still be an effective and loving parent. Consider quality of time versus quantity of time. It’s all about compromising. Vacuum tomorrow so you can cuddle up with your child and a good book instead! Prepare a few extra meals on the weekend to reduce dinner prep time during the week and free up time for a quick walk with your family. Set your morning alarm for a half an hour earlier to create time to eat breakfast together. What compromises do you make to ensure quality time with your family? An ancient treasure map has turned up miraculously on your door step and it leads to a treasure chest hiding in your home! Great for parties or just a fun afternoon activity, send your children roaming around your house or backyard for some fun-filled treasure hunting adventures. Like a scavenger hunt, create clues that will send the treasure hunters from one hint to the next, eventually ending at the “buried” treasure! Have fun and be creative when writing your clues—use riddles or rhymes—but don’t make them too hard for young children to figure out quickly. 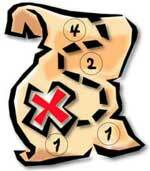 Once you’ve created your clues, set up your landmarks for the treasure hunt. You could use stuffed animals and pretend they’re “wild dingos,” build a totem pole out of empty boxes or fill a small kiddie pool with sand (outside, of course) and encourage the children to dig for their next hint. The possibilities are endless! Be sure to set boundaries, and keep all landmarks and treasure chest within your home or backyard where you can easily supervise. Cardboard treasure chests can be found in most party stores, but if you’re feeling adventurous, you could make one using a few supplies from your local craft store. Are you shopping for a preschool-aged child this holiday season? Look no further! Children and educators from select Goddard Schools–leaders in early childhood education–have announced their top toy picks for infants through children six years old for the 2011 holiday shopping season. 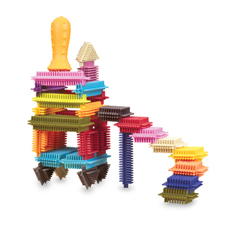 The Goddard School® Toy Test is the only national toy test designed exclusively for children in the preschool age range. The Goddard School is dedicated to providing an environment where teachers support the nurturing and learning children want and need. It is with this focus that Goddard Systems, Inc., named the number one childcare franchise company for the tenth year in a row by Entrepreneur magazine, has released its fourth annual list of top toy finalists. 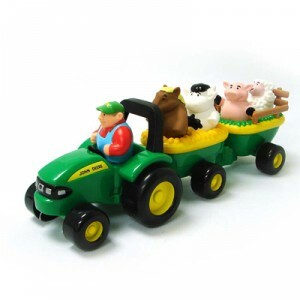 A fun tractor and hay wagon ride with farmer and animal figures. 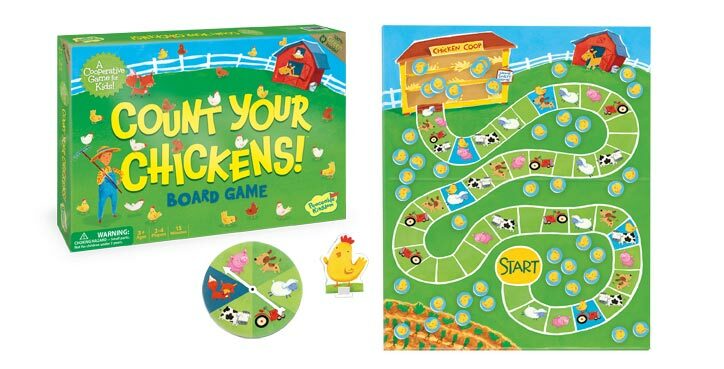 The figures are removable, with a bonus application of matching the animal figure to an image within the hay wagons to be rewarded with the correct animal sound. Chunky, soft pieces are easy to connect and feel good in little hands. A booklet filled with building ideas keeps the fun going. 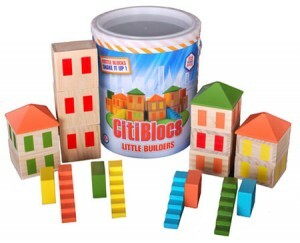 Eco-friendly; builds strength in little fingers and improves eye-hand coordination. Learn and practice math skills by grouping, adding, subtracting, matching and sequencing in a new camo color design. 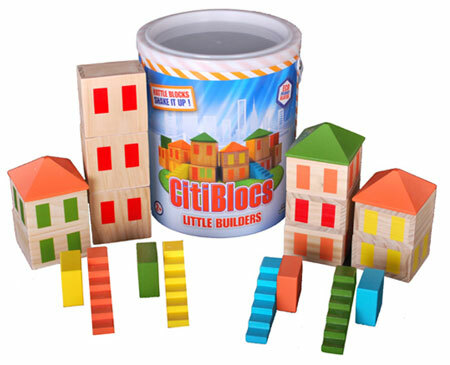 Eco-friendly; builds strength in little fingers and improves eye-hand coordination. 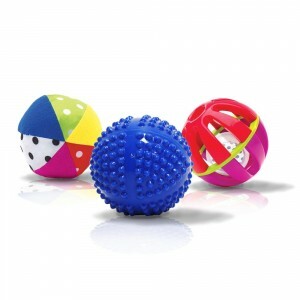 Practice fine motor skills, problem solving, imagination and experimentation. 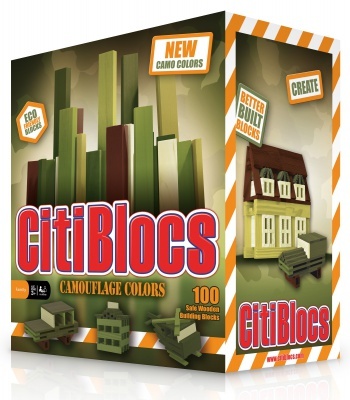 A great first block set for children! 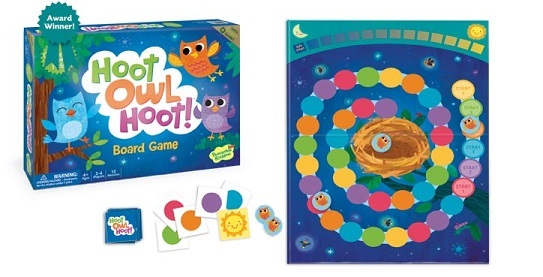 The perfect ‘first’ board game for children. Cooperative games emphasize play and not competition. 100% Green. Chew on them, toss them in the tub, learn the alphabet, build your masterpiece. Keeps children busy for years! Or at least minutes. Rich colors inspired by the toymaker’s international heritage. A color-coded cooperative matching game. Cooperative games emphasize play and not competition. 100% Green. 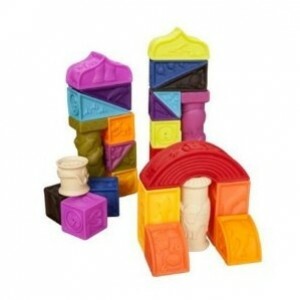 6-piece playset is full of activities. Each food features a different texture plus crinkles, jingles or chimes. 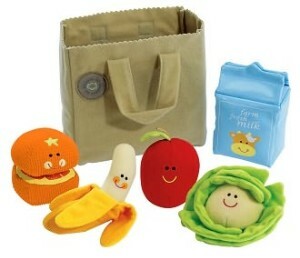 Perfect for fill and spill and take along fun. Sassy’s Oppenheim Award-winning sensory ball set comes with 3 balls, each featuring high-contrast patterns, graspable areas, textures or noisemakers for play and sensory development. Colorful and musical textured flowers encourage baby to reach, tug and bat, developing hand-eye coordination and teaches cause and effect. Also straps to car seats and strollers. For more information on the Top 10 Preschooler-Approved Toys, visit www.goddardschools.com/toys. To learn more about The Goddard School, families are encouraged to visit www.goddardschool.com or call 1-800-GODDARD.